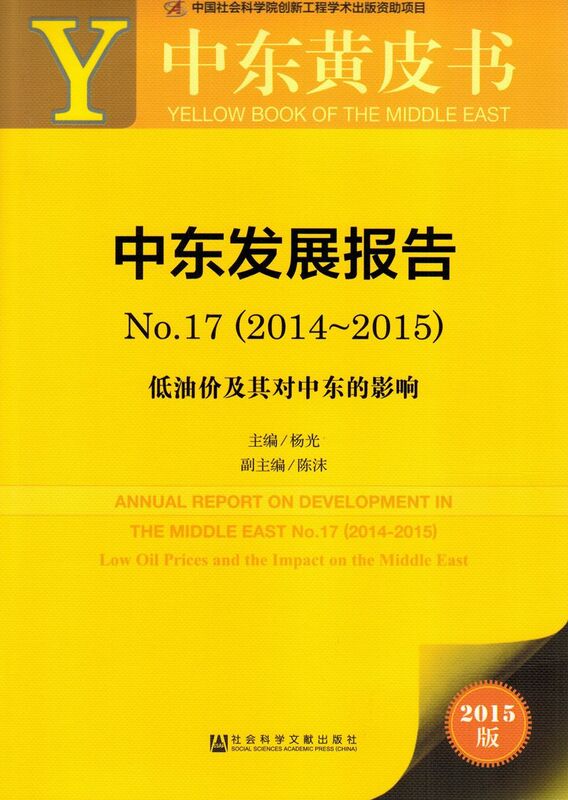 The Annual Report on Development in the Middle East (2014-2015) takes Low oil prices and the impact on the Middle East as the special subject, because the collapse of oil prices constitutes the important change of development environment facing all the Middle Eastern countries since last year. The report explores the sources and prospects of the lower oil prices and the possible impact on the Middle East economies and on the geo-politics of the region. Around this special subject, 4 chapters are devoted to the specific research on OPEC’s position and roles in the world oil markets, Saudi Arabia’s market behavior, the changes of Middle East financial markets and the prospects of the Iranian nuclear negotiation. The report believes that this round of oil price decline has resulted not only from the changes of demand and supply in the world oil markets, but also from geo-political games between the external and regional powers as well. Instead of being a short term phenomenon, it could mark the beginning of a new cycle of low oil prices that may last for years. Though the Middle East economies are divided into oil exporters and oil importers, sustained low oil prices may produce more negative than positive effects on the Middle East economy in general, as even the benefits of lower energy import cost to the oil importers would be offset by the poor export prospects due to the continued economic recession in Europe. The lower oil prices may also produce some effects on Middle East geo-politics, promoting the Iranian nuclear negotiation, but would not affect the multi-polarization trends of Middle East geo-political structures. The report reviews and analyses the latest development of the Middle East political situation over the past year and defines the situation as characterized by turbulence with governance. It discusses the emergence and expansion of ISIS and the crisis in Yemen on the one side, and elaborates the smooth elections and succession in a number of countries on the other side, analyzing the ideas of governance by the new leaders of Egypt, Saudi Arabia, Tunisia, Turkey and Afghanistan, and the gradual process of back to governance in some countries that experienced the choc of “Arab Spring” movement. The report also reviews and analyses the markets development in the Middle East, with specific focus on latest changes in the trade of goods, contracted construction projects and investment markets. A summary of the research works on Middle East published home and abroad over the past two years and a chronology of the Middle East events are also included in this report. These market assessment and documentation provide reliable information for those who follow the markets trends and research progress about the Middle East.